Last year brothers visited from Alabama, Florida, South Carolina, Washington DC, Indiana, Mississippi, Pennsylvania, Missouri, Louisiana, and California, to name a few. 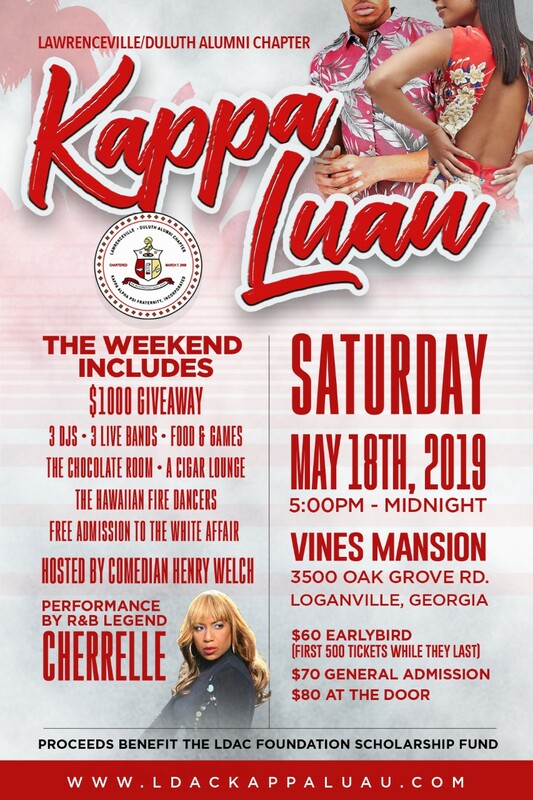 Of course the Nupes from the Metro Atlanta Coalition of Kappas (MACK) Chapters will be here again this year (Alpharetta-Smyrna, Atlanta, Carrollton-Douglasville, College Park, Conyers-Covington, Decatur, LDAC, Newnan-Fairburn, Stockbridge-Jonesboro, and Stone Mountain). 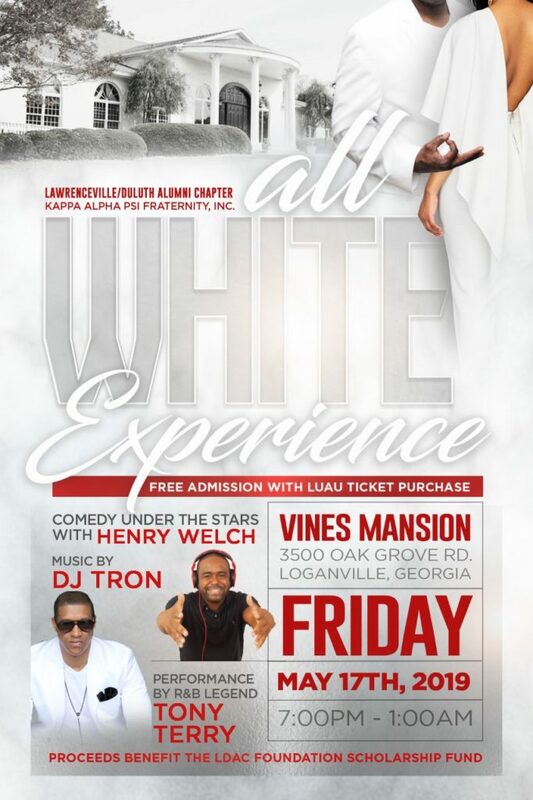 We are expecting another great turn out of world-wide Nupes, family and friends. …And most importantly proceeds will go to our ongoing efforts to provide scholarships to young men in the Gwinnett County. Over the past six years, in partnership with the LDAC Foundation, we have provided over $159,000 in scholarships; mentored more than 300 young men, and provided assistance of more than $57,000 to help high school and college students. This year, we aim to continue that tradition. Parking – Special Parking Passes are available on site on a first come, first served basis for $20 per vehicle. Simply pay the on duty Parking Attendant to receive a pass to park inside the Mansion Gate. Otherwise, please park your vehicle in the Vines Park parking lot, and come to the Park Entrance to Load the Bus. Shuttles will run for the entire night to transport you from the parking lot to the front door of the mansion. After Party – The After-Party will be held at Theory Lounge. Start time is Midnight until 3AM.